If you have any version of iPhone and you are using it too much, then it will require to charge it again and again. For this purpose, wire chargers are available, but they cannot provide enough relaxation and always have to set safely. So, wireless power banks are ready to overcome such kind of troubles and irritations. For iPhone X, and iPhone 8 Plus, there are a number of wireless power banks that are available in the market which can help you to charge your iPhone anytime and anywhere without any worry. You just need to know a little about different power banks with their description, and finally, you can select any one among them for your use. For that purpose, we will show you the best wireless power banks for iPhone 8, iPhone 8 Plus and iPhone X. Keep in mind that all power banks are professionally designed and well developed. Their size is reasonable and can be handled easily for charging purpose. Also, all power banks are introduced in the market after enough charging tests which ensure that your iPhone will have no danger from wireless power banks. Have a look at various useful and well-admired power banks for iPhones. It is a Qi power supply bank which has the storing capacity of 8000mAh. It is used to charge your device quickly and efficiently. It can continuously charge your mobile many times. Its charging speed is 1A which is certainly not bad. Its circuitry design is well tested which ensures the safety of your iPhone X, iPhone 8, or iPhone 8 Plus. It also comes with USB type C port which will allow you to charge your mobile at fast speed. It has power tracker which is used to keep a tab on the power status. Its price is $34, and it has one year warranty. 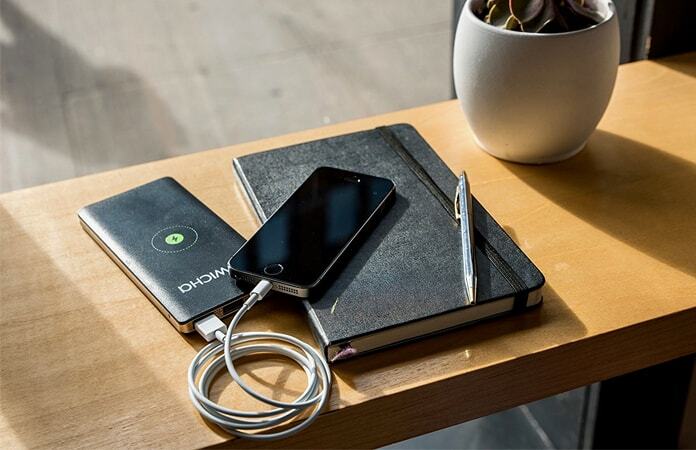 Musttrue is a trusted Qi wireless charging brand which is built for iPhones. This power bank used to supply 1A to 2A output which is enough to charge the mobile quickly without the possibility of harm. The power storage of Mustture is 9000mAh which is a good deal for several uses. It’s one other feature is that this power bank comes with two USB ports which are used to charge two devices at a single time. This is well tested and available in black and white color. Its price is only $32, and it also has one year guarantee. 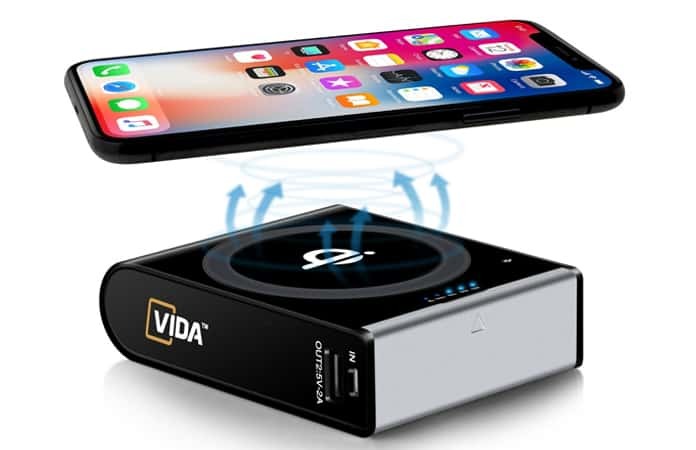 CVIDA is also the best choice if you are looking for a wireless power solution. It has many distinguished features which are highly useful and demanded. It is a Qi-enabled wireless supplier. 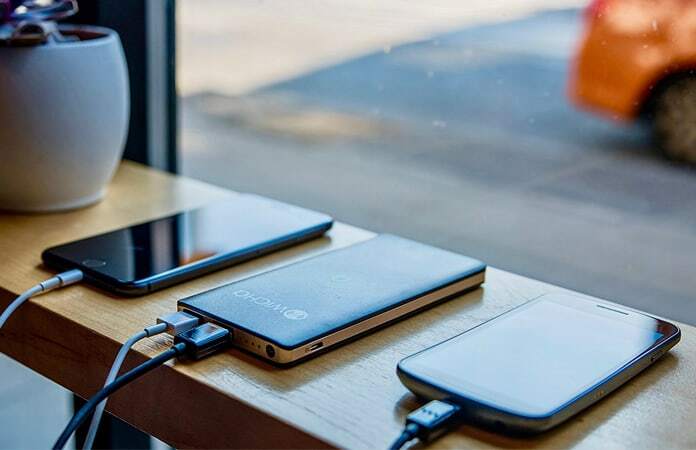 It has the support of Qualcomm Quick Charge 3.0 which allows it to charge any kind of compatible devices rapidly as compared to any other power bank. Its battery power storage capacity is 10000mAh which is a high capacity and can charge your iPhone many times without any delay. It has 3 USB ports which assure that you can charge three mobiles at the same time without any wire connection. Its size is tiny and attractive which can quickly be taken into the pocket to anywhere. This wireless charger is one of the best wireless power banks for iPhone loaded with a high-capacity 12000mAh battery. With MOPO power bank, you can charge your iPhone 8, iPhone 8 Plus or iPhone X at least four times. MOPO comes with two USB ports and provides the essential safety from over-voltage, overcharging and low voltage. 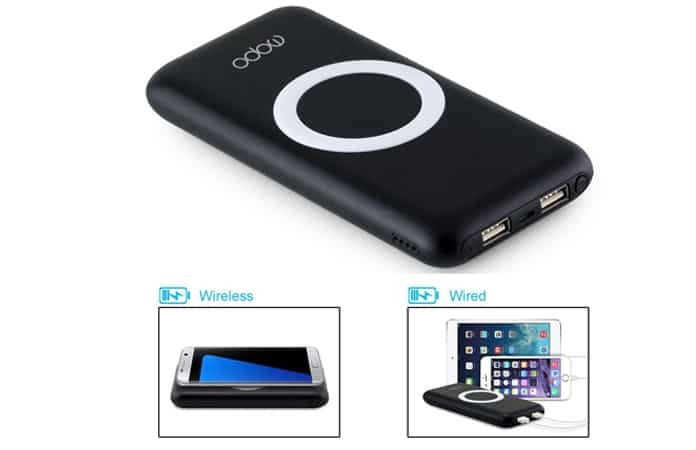 You can pick this Qi power bank in four colors topped by one-year manufacturer warranty. 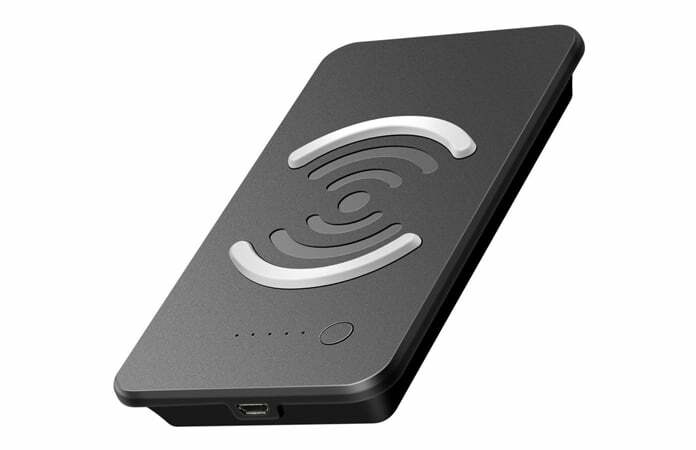 Wicha is functional Qi power bank that is designed to take care of all of your needs. This wireless charger has 10000mAh battery and you will be able to charge your device several times. Wicha has two USB ports and flashlight that can be very useful in the emergency. 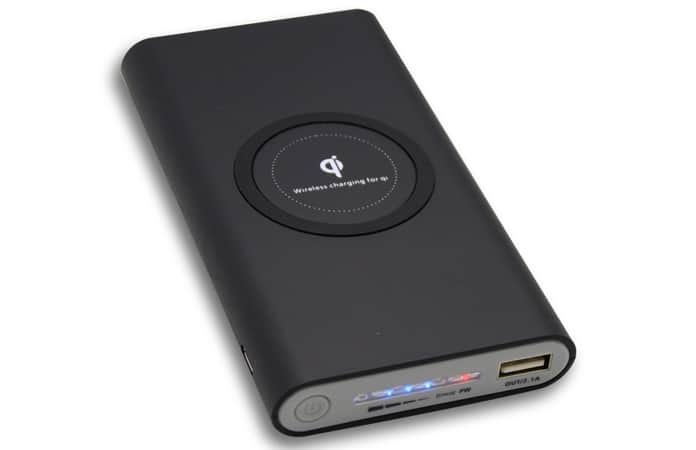 With this Qi power bank, you will be able to quickly get more than 50% charge in just about 30 minutes. This is definitely one of the best wireless power banks for iPhone X, iPhone 8, Samsung Galaxy and more. Don’t forget to like, share and leave your comment in the section below.